Acne is the most common skin condition in the United States; it occurs when hair follicles become clogged with dead skin cells and oil from the skin, also known as sebum. Though, acne is not harmful to one’s health, if it is not taken care of properly, it could cause permanent scarring and a decline in one’s self esteem. We might assume that there is only one type of acne, but surprisingly enough, there are actually different types of acne, which are categorized as either non-inflammatory or inflammatory, that we should be aware of in order to be successful with eliminating or treating them. So let’s get started. Tiny blemishes that look like black dots. Blackheads are comedones (another term for clogged hair follicles or pores) that are open at the surface of the skin. They are filled with excess oil and dead skin cells. The black hue is from irregular reflection of light coming from clogged hair follicles. Like blackheads, they are also comedones but unlike blackheads, which are opened, whiteheads are closed. These whiteheads are small blemishes with whitish heads, which result when there is excessive oil production occurring and it then plugs the skin follicles and forms lesions. Blackheads and whiteheads can be treated with over-the-counter medications. Products that contain tea tree oil (Keeva Organics Acne Treatment), salicyclic acid, or benzoyl peroxide will help to reduce bacteria associated with inflammatory acne. It also acts as an oil-reducing and skin-unclogging product. Papules are comedones that become inflamed, forming small red or pink bumps on the skin. These pimples are the inflamed form of whiteheads which are tender to the touch as compared to the other types of acne. They form small to medium in size and whatever you do, do not pick or pop these papules. Doing so will only cause irritation to skin and will also cause permanent scarring. Pustules are another kind of inflamed pimple and are similar to papules. Resembling a whitehead with a red ring around the bump, pustules are filled with either white or yellow pus. Like papules, you should avoid squeezing them right away otherwise it may leave a permanent scar. Treatment of pustules and papules is the same as for whiteheads and blackheads. Over-the-counter treatments such as benzoyl peroxide, antibiotics (erythromycin and clindamycin) and retinoids can be used to treat them. These two are somewhat similar types of acne. Nodules are large, inflamed bumps that are sensitive to touch. Cysts on the other hand are smaller and softer pus-filled lesions blocked deep within the skin. Both of these types of pimps can form independently or can occur together as what it’s called nodularcystic acne. Nodules and cysts form when comedones get too irritated, going deeper under the skin. Both acne types develop deep within the skin and are often painful. 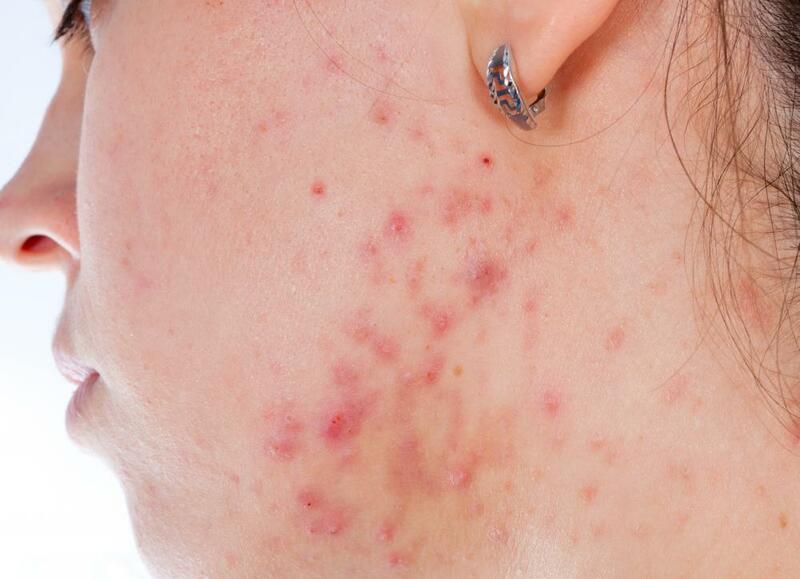 Individuals who develop nodules or cysts are usually considered to have a more severe form of acne. Consult a dermatologist to help treat nodules and cysts. Prescription drugs may be more effective than over-the-counter medication. Evangelist Usman Raza is co-founder of life of Jesus Ministries. He is also a professional blogger with strong passion. When not working, there is 99% chance that he is praying with his family. He loves, exercise, personal care & writing about fitness.